KATHMANDU, July 28: In the rubble of Nepal’s 2015 earthquake, a team of dedicated woodworkers is finding inspiration to recreate what was lost. Centuries-old Char Narayan and Hari Shankara temples were completely destroyed by the massive April 2015 earthquake that shook the Himalayan nation, killing nearly 9,000 people. The temples were the jewel of the Patar Durbar Square, which is thronged by thousands of tourists and local visitors every day. The structures were crumpled by the force of the tremor and the carved doors, roof and brick structure lay in ruins. 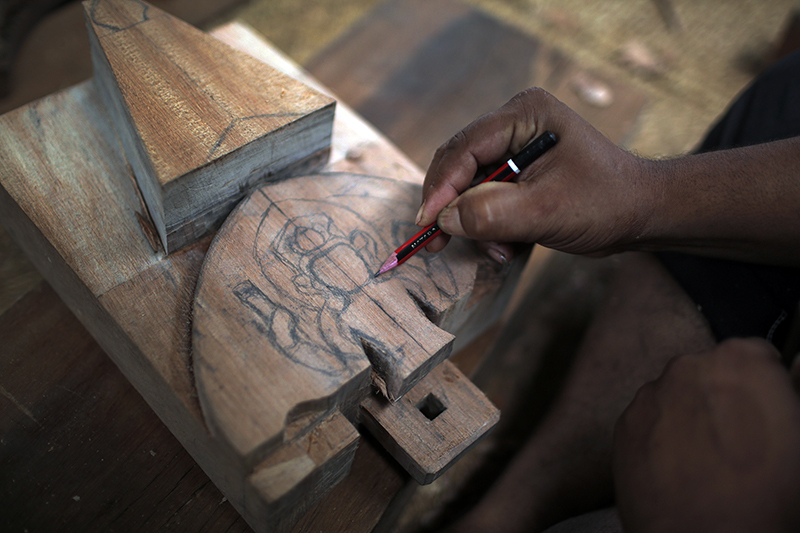 A team of dedicated woodworkers is now trying to restore Nepal’s heritage. They have been working six days a week, for nearly two years, repairing the beautifully hand-carved wooden doors and windows. The broken wooden beams are being replaced by new ones, but the workers are trying to use the salvaged portions as much as possible. The “Silpakars” – as woodworkers from the Newar ethnic community are known – have passed down their craft and skills for generations. 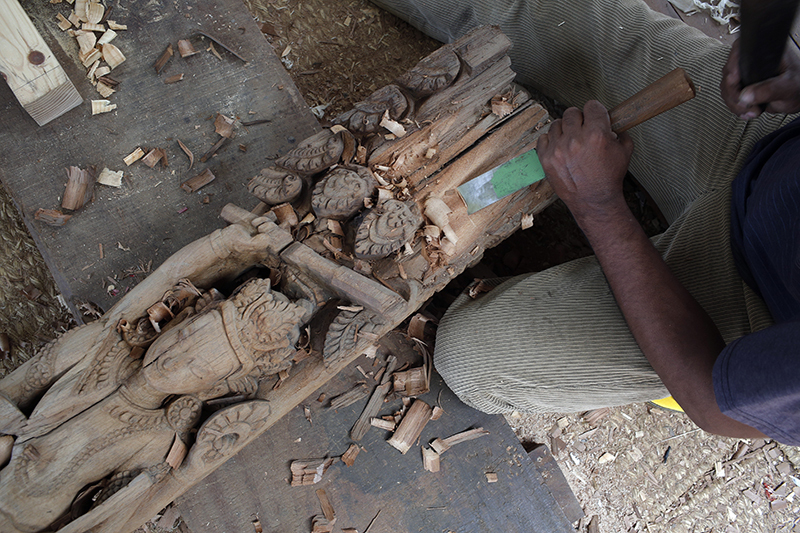 “I am proud to continue by ancestral trade and help restore a big part of Nepal’s history that was destroyed by the earthquake,” said Shyam Krishna, chiseling away the wood pieces. But he and his fellow workers are paid only about $15 a day each, which is much less than what they would earn as building furnishers. “It is not about the money. We might make less money, but this is a moment of pride for us to be able to restore the heritage of our country,” he said. Already two years at work, they will likely another year to just get those windows, doors and beams ready. Nepal faces criticism from the international community for slow progress in reconstruction work despite a $4.1 billion international pledge and the fact that the restoration of heritage sites has not been given a priority.